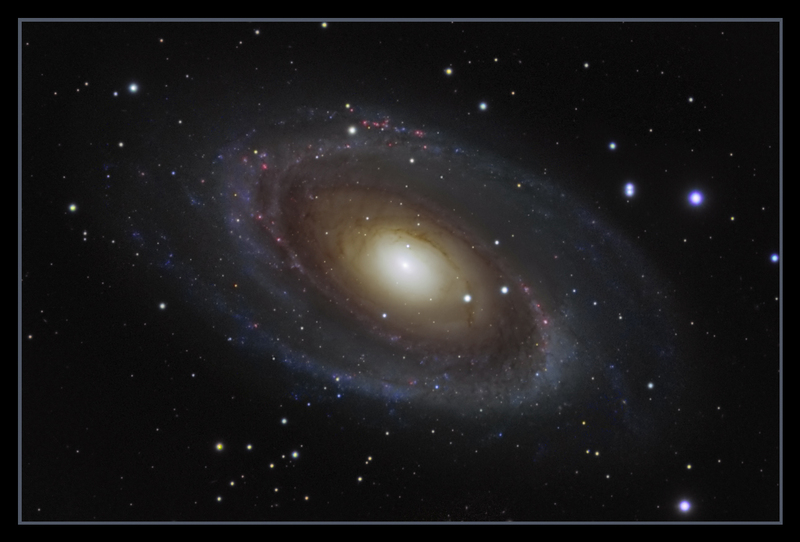 Discovered on New Year's Eve 1774 by Johanes Elert Bode (together with M82), M81 is one of the nearsest galaxies beyond the local group. It is easily visible in a small telescope, and a few eagle eyed observers have reported seeing it visually from exceptionally dark sites. 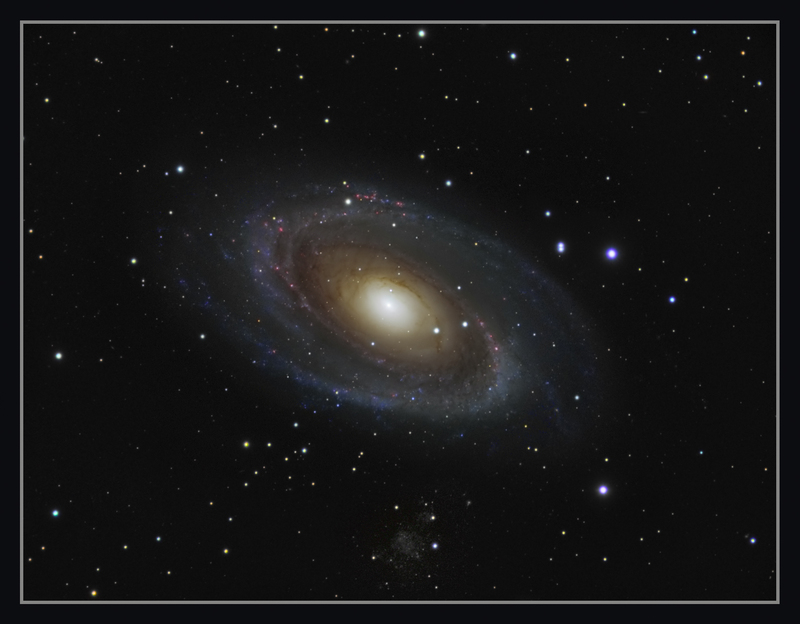 A 10 inch telescope will show the spiral arms if conditions are right. It is 12 million light years away from us, in the constellation of Ursa Major, the Great Bear, a familiar part of which is the asterism known as 'The Plough'. Its core contains a supermassive black hole of 70 million solar masses, and some of the dark banding seen in the core is the result of gravitational interaction with the nearby M82. The fuzzy galaxy below M81 in the wider shot is the dwarf galaxy Holmberg IX. Imaged through January , February and March 2010, with additional data from 2008 added also. One shot colour data with LX200. 45 x 6 minutes. Total imaging time. 18 hours 23 minutes.